If you believe that orthodontic treatment can only be completed with potentially painful wires and brackets, think again! Invisalign uses a series of clear aligners that are customized to fit your unique smile. Each one represents a different stage of your alignment process; simply wear them as directed, and you’ll start to notice changes in your smile soon enough! As the name suggests, the aligners are virtually invisible, meaning you won’t have to feel embarrassed or nervous in front of your peers while wearing them. The aligners are removable, which allows you to avoid having to make frustrating changes to your diet or oral hygiene routine. Have a big event coming up? No problem! It’s all right to take out your aligners for a few hours and enjoy yourself – just make sure to put them back in when you’re done! 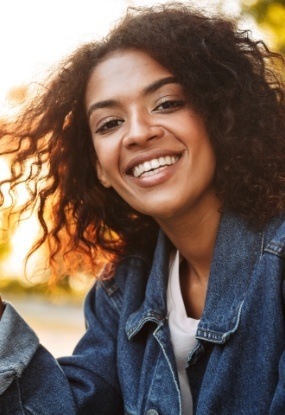 Best of all, in most cases, Invisalign treatment can be completed in just 12 months – a vast difference from the two years or more that metal braces usually require. Don’t settle for a lackluster smile! Instead, let our team help you achieve the look of your dreams with Invisalign at our various Ohio locations! Contact us now to schedule a consultation at the Painesville Dental Group, Chardon Smile Center, or Dental Group of Jefferson.